One of Stephen King’s favorite tricks while crafting his multiverse-spanning seven book epic The Dark Tower was the way he deployed pop music. Roland Deschain, the Gunslinger, and his loyal band of heroes would be journeying in some strange, far-flung region of reality in pursuit of the titular monolith, when suddenly a local would begin singing something from Earth’s Top 40 radio. The effect was usually both alienating and comforting, emphasizing the interconnectedness of reality that was one of the series’ major themes. io9 commenter Brad K., operating from a list compiled by fellow commenter PatrickScalisi, has created a Spotify playlist of all of the songs mentioned or sung in King’s work. 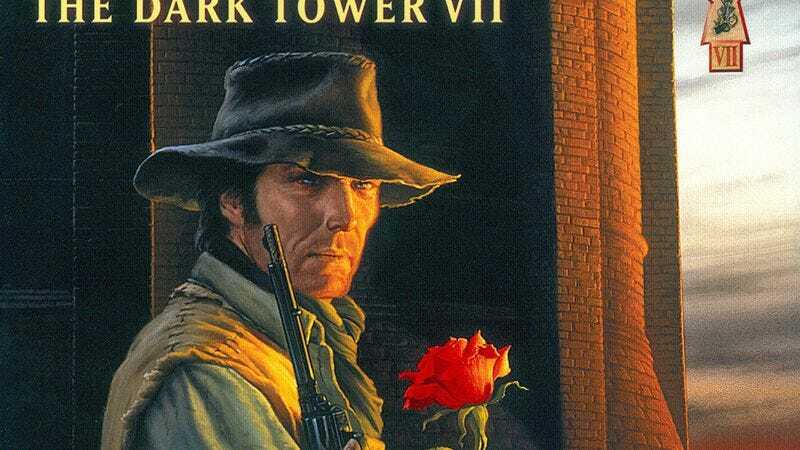 Unsurprisingly, the taste of The Dark Tower universe is pretty similar to that of the Baby Boomer-era white guy who created it—a lot of Bob Dylan, along with ZZ Top, The Rolling Stones, The Beatles, and other classic rockers. If you listen, don’t forget to set it to repeat, because Spotify playlists, like ka, are a wheel.